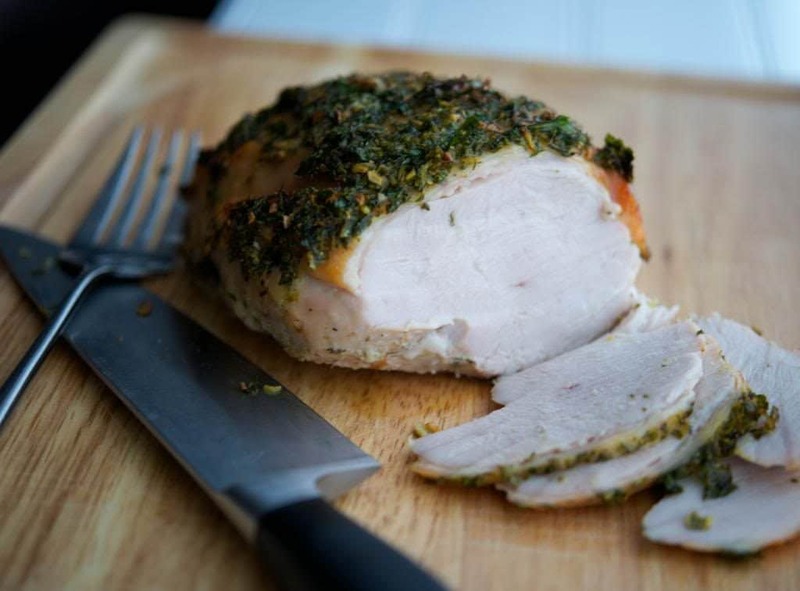 Boneless turkey breast seasoned with rotisserie seasonings including paprika, thyme, garlic and onion powder, salt, white and cayenne pepper. Thanksgiving is coming up later this month and though most people prepare a whole turkey, there are families out there that just don’t like turkey or feel that it’s just too big no matter how small it is. 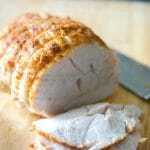 Now you can enjoy turkey, without having so much left over with this Rotisserie Style Roasted Boneless Turkey Breast. In the Spring and Summer, I tend to grill most of our family meals on Sunday afternoons; however, when Fall hits it’s all about roasts, stew, and chili. 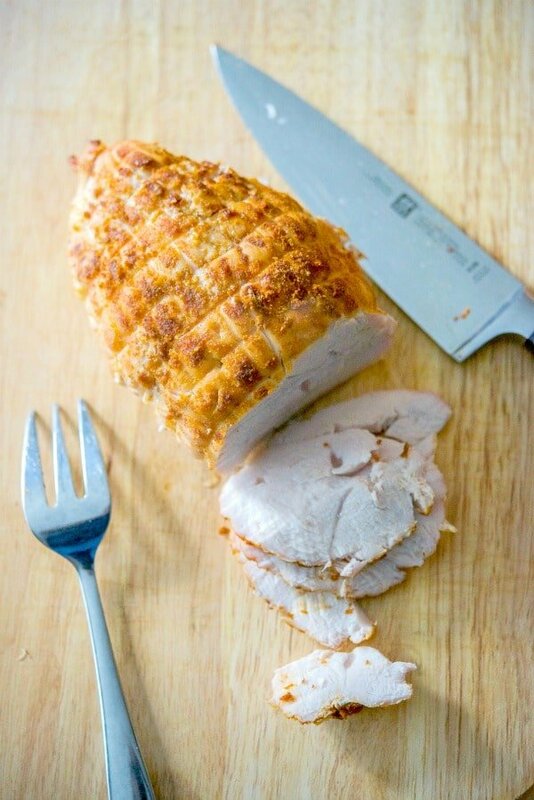 One of my favorite roasts to make is a boneless turkey breast. 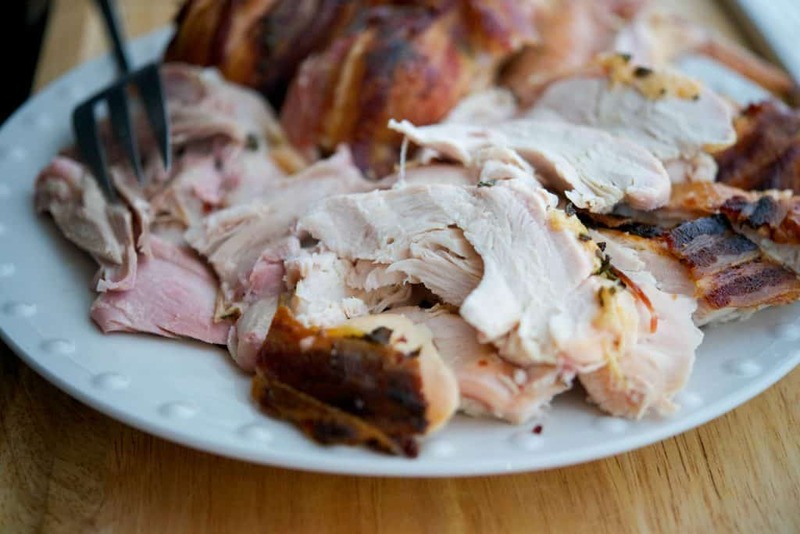 This particular turkey is about 3 pounds, is all white meat and is the perfect size for a family dinner for six people (or four people with some leftover to make soup!). I usually just put salt, pepper and garlic powder on top before roasting, but have been dying to make my own rotisserie seasoning. In fact, I made this seasoning three times already on top of a roasted chicken, but each time my roast was done, it was too dark outside to take pictures. 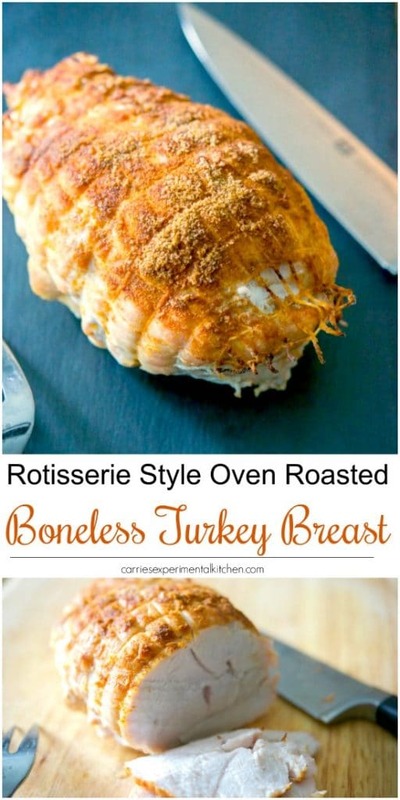 It was so good on the chicken that I decided to try it on this boneless turkey breast to give you another option for Thanksgiving. 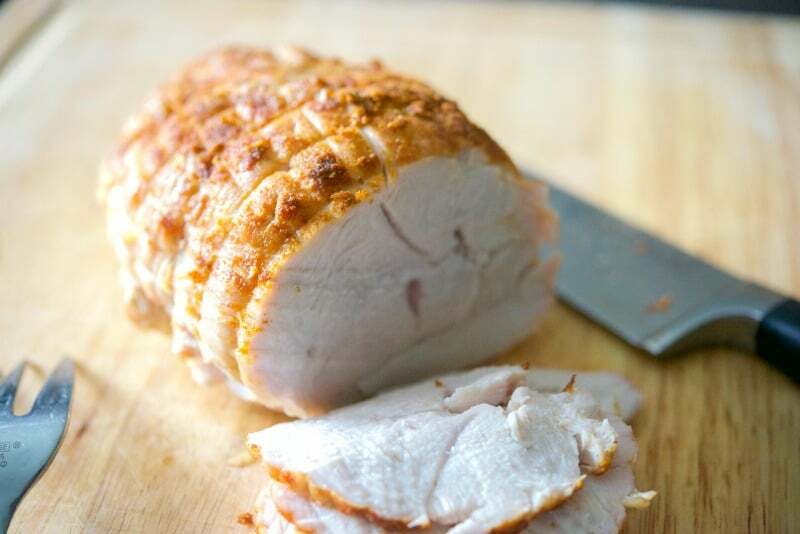 To make the rotisserie seasoning, combine the following dry seasonings in a small bowl: paprika, thyme, garlic and onion powder, Kosher salt, white and cayenne pepper. 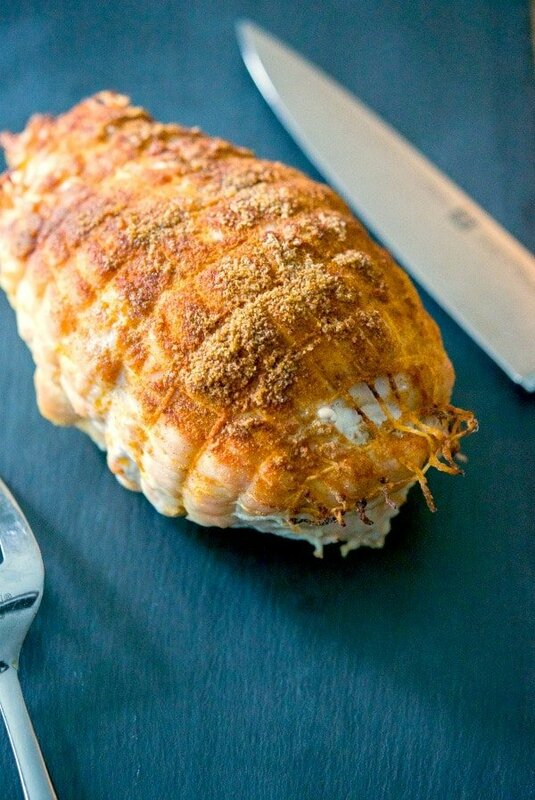 Next, add some olive oil and brush it on top of your roast; then bake for approximately 1 3/4 to 2 hours or until a minimum internal temperature of 160 degrees F.
That’s it! Easy-peasy right? The seasoning has a little bit of a kick, but you can adjust the amount of cayenne pepper you add according to your preference. 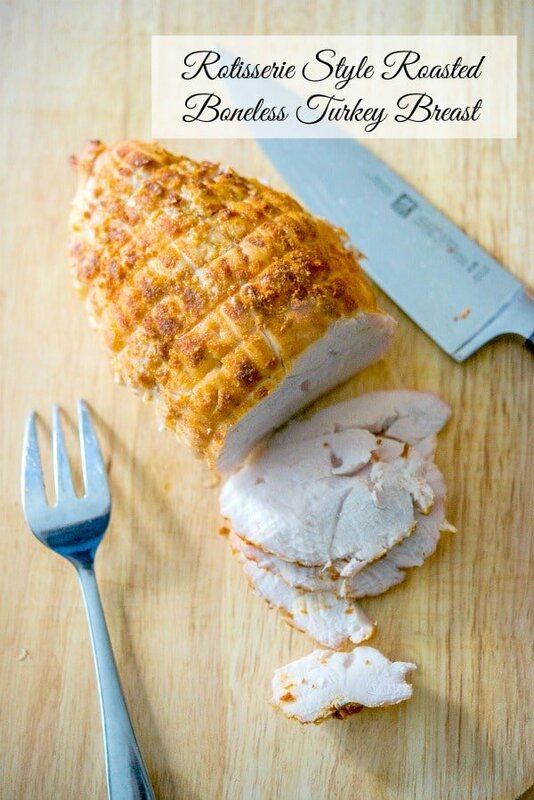 My family loved this Rotisserie Style Roasted Turkey Breast and it’s perfect when feeding a smaller crowd for the holidays or Sunday dinner. I served ours with mashed potatoes and a vegetable. ~Enjoy! 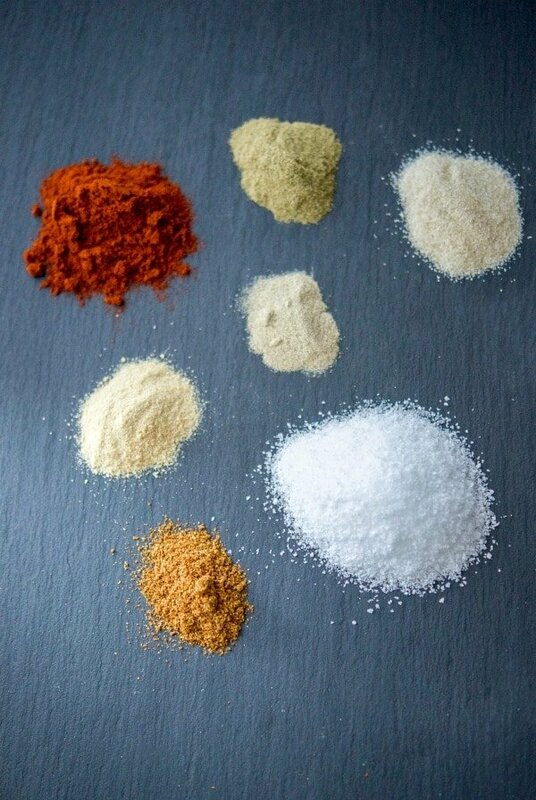 Combine the following dry seasonings in a small bowl: paprika, thyme, garlic and onion powder, Kosher salt, white and cayenne pepper; then add the oil and mix well. 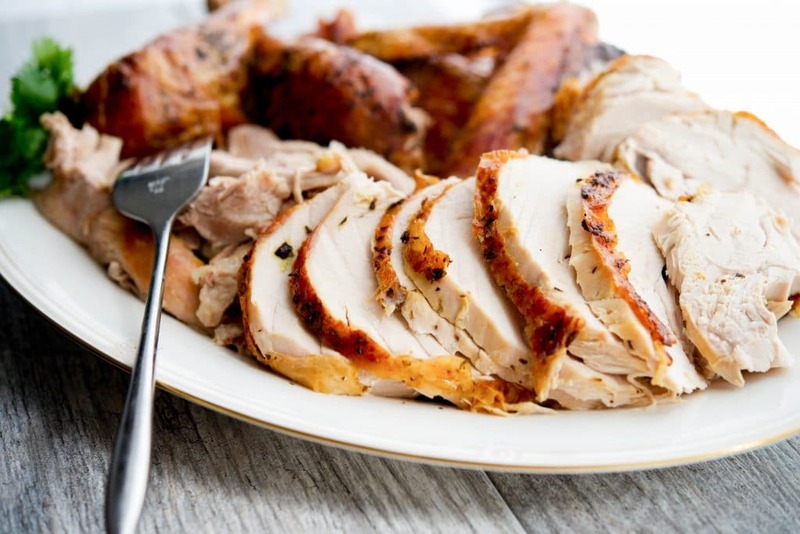 Brush the oil on top of your turkey; then bake for approximately 1 3/4 to 2 hours or until a minimum internal temperature of 160 degrees F.
*Whole turkey or chicken can be substituted for the boneless turkey. Cooking times will vary accordingly. That looks so good! I’m going to add this to the weekly menu! YUM! 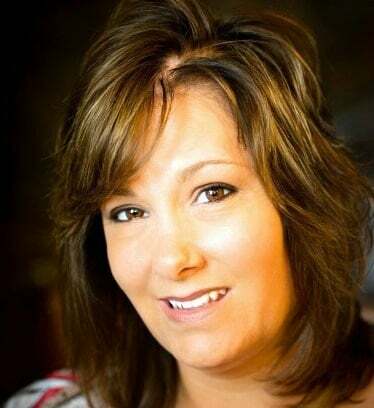 I hope you enjoy it as much as we did Tarah! Did you have to tie your turkey with butchers twine or did you just insert the rotisserie rod? The boneless turkey I purchased came already wrapped in a netting, but you can use twine to secure it while roasting as well.